NOTE: This is archived committee information from the 81st Legislative Session. May 19, 2009 (Part I, Part II) - Part II is audio only. May 14, 2009 (Part I, Part II) - Due to technical difficulties, part I is audio only. May 8, 2009 - Audio only. May 7, 2009 - Due to technical difficulties, only the audio is available. April 28, 2009 - Audio only. April 23, 2009 (Part I, Part II) - Part II is audio only. April 2, 2009 (Part I, Part II) - Part II is audio only. Options for development and funding of a charter schools facilities program. Review the state's education policy and initiatives regarding middle grades. Make recommendations to ensure a comprehensive state strategy for preparing students at the middle grades for high school retention and success. This review should include an examination of school-based strategies and best practices that encourage at-risk youth to finish school and that deter delinquency, drug abuse and violence. State sponsored professional development initiatives including the alignment of professional development with curriculum and real work experiences and the value of professional development for bilingual, ESL and special education teachers in increasing student achievement. Need to adopt statewide standards for teacher certification and in-service training programs for regular and special education teachers at both the pre-service and in-service levels to ensure all teachers are highly qualified to teach students with disabilities. Study the efficacy of immersion versus dual-language instruction of English as a second language students. Make recommendations for improving programs and instituting best practices. 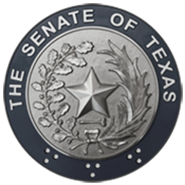 Study the effectiveness of Texas school districts' special education programs. Review the range of needs of special education students, districts' ability to provide an appropriate education for these students, and assess the effectiveness of programs currently funded for special education. Make recommendations for improvement. SB 174, relating to an accountability system for educator preparation programs.